Introducing another new feature to my blog: recipes! First up is one of my favorites, my fall chili. As the temps cool there is no better time for a warm bowl of chili, and this unique sweet and savory version features a fall staple- the sweet potato! Jam packed with protein and fiber, this recipe is also fairly low fat, depending on what kind of ground turkey you use. Since so much goes into the chili, you can get away with using a 97% lean turkey if you prefer. 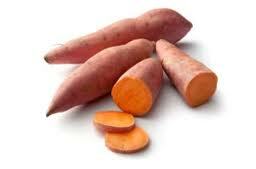 Pre-cook the sweet potato in the microwave for 2-4 minutes(until halfway cooked), peel, then cube. Sauté the onion in a pan with 1 TBSP oil. Add ground turkey and sauté until cooked. Add turkey/onion mixture and all other ingredients except for the beer to a large pot and bring to a boil. Reduce to a simmer. Add beer if desired. Simmer for approximately 25 minutes. Top each bowl with 1 oz crushed sweet potato chips if desired. I look forward too you making me some.